Not everyone has the cash to buy and maintain an airplane. For those of us who just need to borrow a set of wings every couple weeks it makes more sense to rent our aircraft by the hour. But how exactly does that whole process work? Let me try and break it down for you. This guide is intended to help newly minted pilots understand the process to rent an aircraft and fly it by themselves. If you’re looking for information on how to charter an aircraft (be a passenger in an aircraft while a hired pilot flies it) or take flying lessons this isn’t the guide you’re looking for. Before we get started, a quick note about rental rates and how they are calculated. The worldwide standard for aircraft rental is by the engine hour. There’s a fixed hourly rate that is advertised, and you only pay for the time that the engine is running on the airplane. Let’s say, for example, you find a Piper Cherokee for $150 and hour. You fly 45 minutes away to lunch, stop for an hour, and fly 45 minutes back tot he home airport. You’ve had the aircraft for a total of two and a half hours, but only 1:30 of that was with the engine running. You only pay (1.5 x $150) $225 for the whole trip. The first step is probably fairly self explanatory. 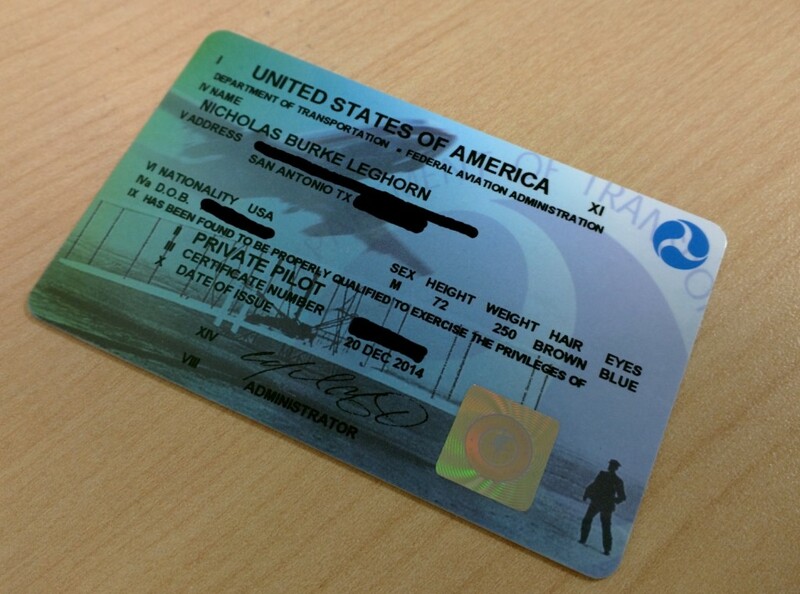 In order to rent an aircraft you need to be a properly certificated pilot. Any pilot, no matter how few hours they have, is capable of renting an aircraft. In fact, that’s the only way you’re going to gain the experience necessary to increase those hours. The only difference is that pilots with fewer hours or without an instrument rating may be limited in terms of what they can do with their rented aircraft. But we’ll get into that later. 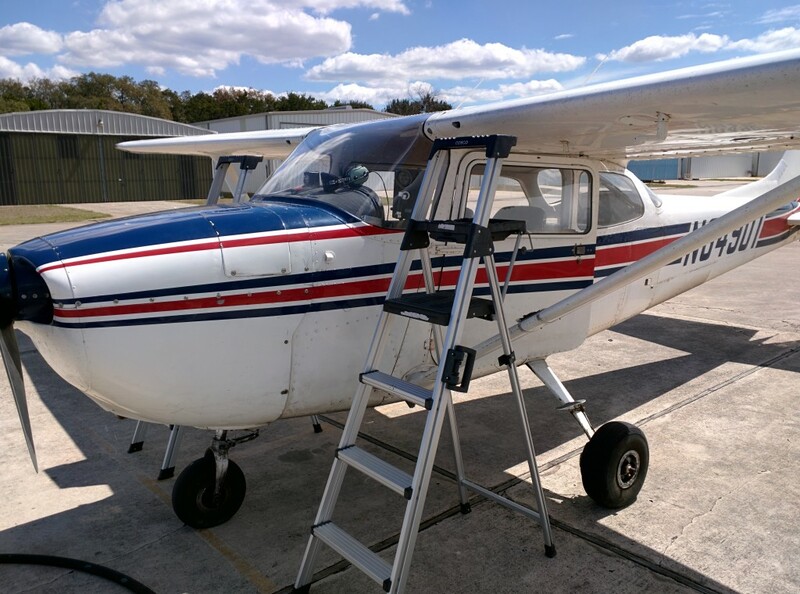 Not every airport has a Fixed Base Operator (FBO) with airplanes for rent, but more often than not you’ll be able to find at least one on a nearby airfield. The best bet is to look for an airport with a control tower that does not offer regularly scheduled commercial air services. This is a good sign that there’s a significant number of flight schools and flight training happening on the airfield, enough to warrant the control tower at least, and one of them is almost guaranteed to want your money enough to let you have an airplane for a while. Good sources for finding these flight schools include looking the airport up in AirNav and using Google Maps to look for businesses located at and around the airfield. If you have Garmin Pilot you may also be able to see all of the FBOs in the app. Once you’ve found some candidates start making phone calls. You can probably determine whether an FBO has aircraft to rent on their website where applicable, but you’re still going to need to actually call and talk to them (or email, sometimes) to schedule a “checkout flight.” More on that in a bit. Not every FBO that rents airplanes is the “right” FBO. How do you know which one you should pick? Here are some things you should consider and ask about when trying to make your choice. As a pilot you should be aware of your personal currency requirements, things like three full stop landings in the last three months to carry passengers in a VFR flight. But often times FBOs will have some additional requirements to rent their aircraft. For example, most FBOs will have a requirement about renting one of their aircraft within a certain time period or else be required to take another flight with one of their flight instructors for some recurrent training. 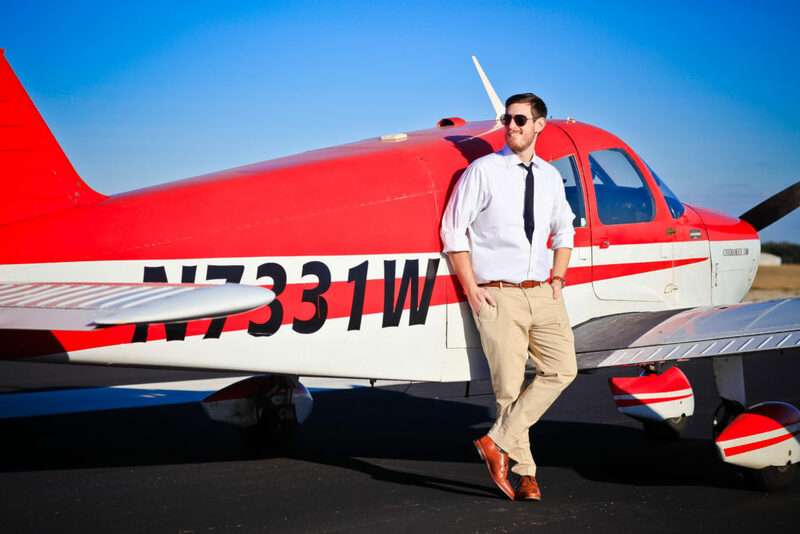 This can vary drastically from one FBO to another — one FBO here in Austin requires pilots to rent their aircraft once every 30 days, another only requires once every six months. Obviously that’s a huge difference, and can be a significant extra expense if you don’t fly all that often. One of the biggest thrills in private aviation is the ability to fly to another city, stay overnight, and fly back whenever your hangover has dissipated the next morning. Being able to set your own schedule and not be beholden to an airline is incredibly liberating. Most FBOs will allow pilots to rent their aircraft for entire days or overnight if they are going on long distance flights. The difference is that with longer rentals typically FBOs will have a “minimum time” requirement. That’s a minimum number of engine hours that the pilot will be charged per day for the aircraft regardless of whether they actually fly that many hours or not. If you think about the situation it makes sense. The FBO only makes money when their planes are flying, and you are taking one of their assets on an extended trip. If you fly the required hours then there’s no issue, the airplane is still profitable to the FBO and it’s no skin off your nose. If you don’t fly the hours then the minimum hour requirements will keep the FBO from losing money on the proposition. Honestly it’s usually about a wash in terms of the hours flown. Just another factor to consider. Most aircraft I’ve flown are leased “wet,” meaning the fuel used for the flight is included in the price. You arrive with a fully topped up aircraft, fly, and then return. Something to ask the FBO about is whether they require pilots to refuel the aircraft after every flight. That’s a policy common at FBOs that keeps the overhead to a minimum, but means you will need to budget for some extra time at the end of the flight to ensure you hand the airplane off to the next person properly. 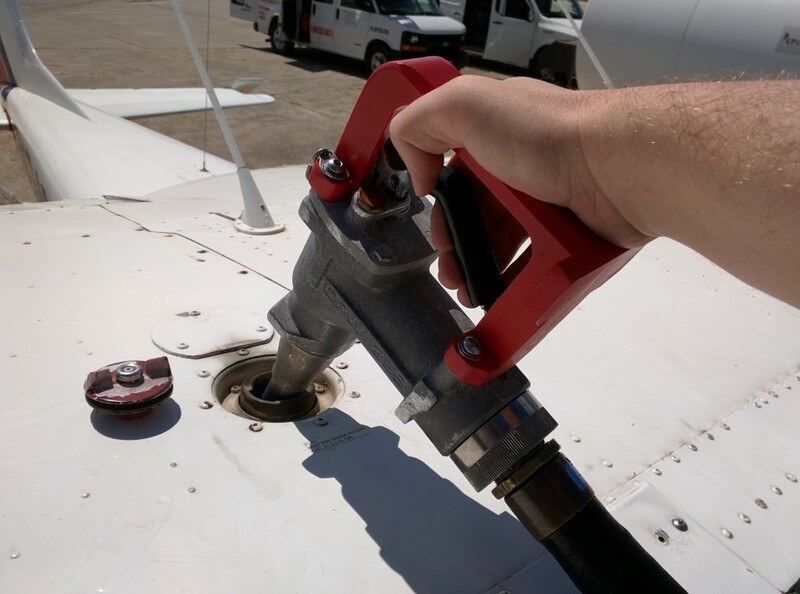 If they don’t require refueling after each flight ask them about refueling services and how that should be done. At larger airports they will often have contracts with refueling services to perform the task for you and charge it to an account. Other times they might ask you to pay for the fuel and submit a receipt to have the cost of fuel removed from the rental fee. Also ask about the process for refueling at other airports where they might not have existing contracts. Usually they will ask you to save reciepts and deduct a standard fuel rate from the rental fee, but that’s something to watch. The FBO I sometimes use actually rewards pilots to go to another airport in the area and fill up the aircraft there since the fuel is cheaper than at the home airport. It’s a little bit of a pain to do but the FBO makes it worth our while (with chocolate chip cookies, specifically). This one is pretty much common sense. A larger fleet means there’s a higher probability that the airplane you want will be available, and that you will be able to pick an alternate if there’s a maintenance issue. Maintenance can be a huge issue for aircraft, and often ground them for months on end. Having the ability to pick another aircraft and go will keep you flying no matter what’s wrong with your preferred bird. Airplanes are expensive, and even worse they operate around even more expensive objects. Just think about the potential liability of taking your tiny Cessna 172 and accidentally ramming into a Boeing 777. That’s millions of dollars of damage that you are now liable for. Some FBOs will include renter’s insurance with the rental rate that covers the FBO and your liability in those situations. Some willm require you to get that insurance on your own. Personally I pay for the renter’s insurance no matter what and have my own policy, since it;s relatively inexpensive and offers superior coverage to what the FBO offers. Some FBOs have a front desk where a helpful agent will take payments, hand out keys, and work through any issues you might have. Other FBOs might have little more than a glorified locker where the keys are located. Be sure to ask how you will get the keys for the aircraft during your renal and how they are to be returned. Maintenance issues (also known colloquially as a “squawk”) should be reported to the FBO promptly upon discovery so they can handle the issue. But how do they want those reported? Some FBOs want you to simply write it down on your receipt, others want you to immediately text the owner. Be sure to ask how exactly they want that communicated. In general it’s all things that make sense, trying to keep inexperienced or under experienced pilots from getting into trouble. But it’s useful to know these limits before you try to book a flight which might exceed those limits. Typically an FBO will have no idea who you are or what your skill level is when you walk up. You could be a pilot that flies every week, or one that hasn’t flown in 10 years. They just don’t know. In an attempt to try and protect their aircraft from inept pilots the FBO will usually require a “checkout flight” with a flight instructor in one of their aircraft. Typically about an hour long, a checkout flight is just to verify that you’re not going to break the airplane. The flight instructor is just looking to make sure you use checklists, can taxi without crashing into things, and are capable of taking off and landing without causing mass mayhem. sometimes they will also include some maneuvers like an approach to a stall or an instrument approach if you’re looking to exercise your instrument privileges. This is something that you will need to do at every new FBO. Whether it’s swapping from one FBO at your home field to another or checking out an airplane in a different state you’ll need to budget an extra hour of instruction, paperwork, and test flying before you are allowed to go on your own. This makes it very expensive and time consuming to rent aircraft in cities where you are just visiting. One way around this is to use Open Airplane, a network of FBOs that work together to make their aircraft available to pilots who go through a more rigorous checkout process on an annual basis. In that system one checkout gets you access to every aircraft of that type in the entire United States. The only catch is that the FBO needs to be a participating member of the system and not all FBOs are. Sometimes this requirement can be waived if you’ve taken some flight instruction with the FBO before, but that’s pretty much the same thing as a checkout flight. Once you are checked out in the aircraft you’re good to go. Each FBO should have a schedule of some sort where you can see who has reserved specific aircraft and when they are available. Find an airplane you want to rent, find a slot where your schedule matches up with an opening, and reserve the airplane. I’ve seen this done various different ways, from online scheduling calendars to pieces of paper and post-it notes on a cork board. Asking about how that reservation system works might be a good thing to do when on the checkout flight. Some things you might be asked to do at the beginning of the flight include recording the starting Hobbs and tach times. As we discussed at the beginning you are charged by the engine hour for your rental in the vast and overwhelming majority of cases. The way this is calculated is typically by the use of a Hobbs meter, a small clock that is tied into the aircraft’s systems and only runs when the engine is running. Some meters operate off an oil pressure switch, others work based on when the master switch is on, but all of them will be running while the prop is turning. In the rare cases where this system isn’t working the clock on the tachometer is used as a backup, and you may be asked to record this time as well. How this information is recorded varies between FBOs. I’ve rented from some locations where the times are entered into their online reservation system and you can verify and update them from your smart phone. In other places you record the times in a notebook in the back of the plane that is picked up every week and you get billed for what’s listed in the book. Either way it is imperative that you make sure you are accepting an aircraft that is properly documented or else you might be paying for more engine time than you actually used. If you find any discrepancies you should report them immediately. You might also want to bring some gear with you to make your life easier. Here’s what I bring on every flight in my flight bag. There’s nothing worse than walking up to a dirty airplane, so make sure that you leave the airplane in the same condition (or better) than when you found it. Take your trash, don’t forget to install any sunscreens, and be sure to tie down the aircraft properly. The next pilot will appreciate it. Once back on the ground there’s typically a couple things that you’ll need to do to make sure that you are charged correctly for the flight and “close out” your rental. Just like we recorded the starting Hobbs and tach times we now need to record what they are at the end of the flight. The difference between those two values is the time you will be billed for and can put in your logbook. Paperwork complete, it’s time to return the keys. Wherever you picked them up from be sure to return them promptly as soon as you are done. I’ve taken aircraft keys home by accident before and it’s no fun for anyone involved. My advice is to clip the keys to the top of your kneepad as you’re doing your post flight actions and keep that kneeboard in your hand until the keys are returned. The last thing is to consider whether any maintenance issues need to be “squawked” to the FBO. If there’s anything that went wrong on your flight — a light that didn’t work, or perhaps a DI that processed more than three degrees in fifteen minutes — tell the FBO. The only way it will be fixed is if someone voices their concern, and I guarantee that they will be happier that you told them than frustrated about the work to be done. Congratulations! You’re now a “regular” with the FBO. Take advantage of the privileges and fly the wings off something.